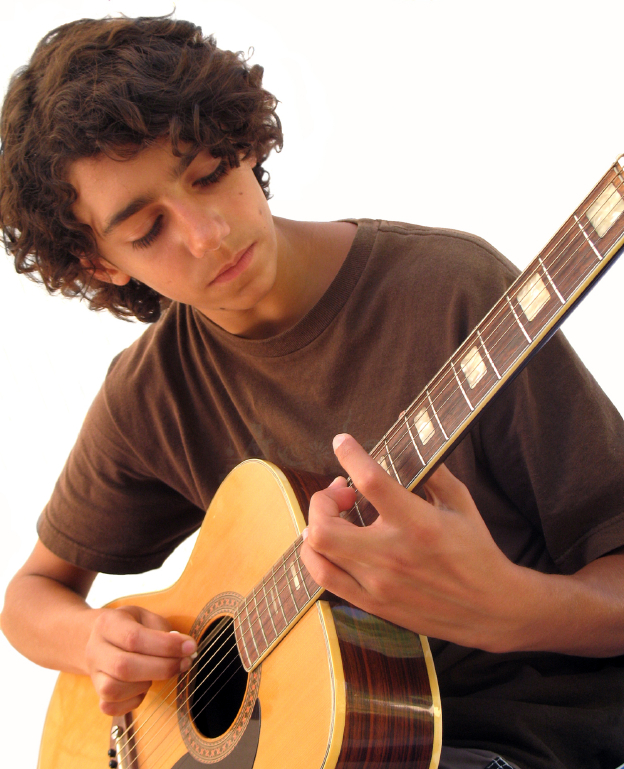 Lyrebird Guitar School teaches essential skills, as well as advanced guitar techniques. The skills are developed, step by step, level by level, through songs, making it fun and easy to learn. + What will you be learning? Throughout the different levels you will learn: sight reading, chords, scales, arpeggios, rhythm guitar, listening exercises, music theory and right-hand techniques such as; strumming, picking, rest- & free- strokes and finger picking. As you go along, different styles of music are played to introduce guitar techniques unique to each style (for eg: classical, folk, rock, funk, jazz, spanish etc). This is achieved through active listening, playing along in the lessons, learning good techniques and efficient practice methods. Learning should be fun and practical, that’s why the songs you bring in, from your favourite bands/artists, are also used to learn and apply the techniques. • For adults who have always wanted to pick up a guitar and play their favorite classic rock songs, from the Beatles, Eagles to the Stones and Pink Floyd. • For people who want to learn how to play dirty blues solos like Eric Clapton, John Mayer or the pioneers like Muddy Waters, Robert Johnson and BB King. • For students who want to unplug and learn some acoustic songs like Blackbird, Hotel California, Tears in Heaven, Scarborough Fair, More Than Words and many more. • For children or anyone else who wants to learn about music and the many possibilities of the guitar. LGS also provides a more formal curriculum, helping astute students prepare for AMEB and Trinity College music exams - going through music from classical and contemporary composers as well as learning how to improvise. It is a fun way for kids and adults to master the guitar, whatever your goals and ambitions are!